Reading has always been the simplest way to derive knowledge, seek advice or entertainment from a source. And today, with all the technological progress around, it’s one of the easiest things we can do to get yourself informed. We don’t need to wait months before we get that amazing book we really wanted in the morning mail, because we have e-books. Don’t ge me wrong, books are great in general. E-books are also incredibly convenient. They are light and they fit in your pocket. You can bring thousands of pages with you everywhere without being a professional wightlifter. They don’t get mouldy, they don’t tear apart and you can read them in the dark. What’s more, you don’t need to have a dedicated e-reader to read an ebook, you can do so from your laptop and smartphone. If you love reading and can’t get enough of it, then you will love this list of 14 places, where you can take e-books for free. Project Gutenberg offers a library of more than 54,000 free e-books that can be downloaded in either .epub format or directly for your Kindle. You do not need to register or make any subscription payments. However, if you are happy with the service, you can donate a small amount that will be used to enla. In addition to the large free library, Project Gutenberg also offers a list of free audiobooks for those, who are on the go. ManyBooks follows behind Project Gutenberg with a variety of 33,000 free downloadable e-books for your Kindle, Nook or other e-reader. You can find a good read not only in English, but in 35 other languages too. If you subscribe for their newsletter, you can also get information about new additions and limited offers. Having a little bit of everything from fiction to acedemic reads, Free-Ebooks is another place for thrifty bookworms. You can find books in English, Spanish or Portuguese. There is also a library of 700 audiobooks in .mp3 format, voiced by professional voice actors. However, in order to take advantage of the ebook library, you will have to register for either a Standard or VIP account. A Free Standard account limits you to 5 e-books per month and 1 audiobook per week for free. Planet Publish presents a small selection of classic novels, available for free download. The books were taken from PlanetPDF and as the name implies, you can enjoy them only in .pdf format. No registration is required. Similarly to PlanetPublish, you can choose among 800 e-books in OpenCulture‘s collection. The service brings mainly cultural and educational media. However, you can also find fiction and poetry in all popular text formats. In addition, if you are on the go, you can also take advantage of the source’s audiobook library of 900 audibooks in .mp3 format. Free only for a limited time, Scribd is like the Netflix for e-books. You can take advantage of a 30-day trial and explore the wide variety of books, articles, audibooks, magazines and music sheets for free. For all ebook enthusiasts, E-books Directory offers more than 10,000 books in .html, .epub or .mobi format. You can find technical papers, documents and user contributed content, articles, reviews and comments in 674 topics. You don’t need to register for anything and the service itself is straightforward. 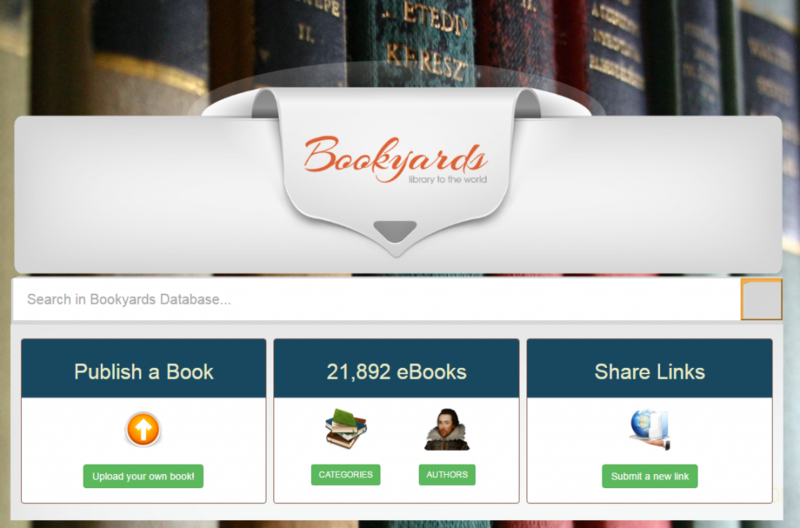 BookYards is a free source for e-books in 35 categories. It offers pieces from both member authors as well as established ones. You can download your ebook of choice in .pdf format without registering for anything. Content is available not only in English. The service is fully free, but you can also make a small donation if you like what you get. FeedBooks provides a formidable collection of public domain books that can be downloaded for free. It features all sorts of genres and you don’t need to register to take an interesting read with you. Keep in mind, though, that all e-books are available only in .epub format. PDF books for free is a bit different from the previous mentioned as it basis its library from books in Amazon, Gutenberg and Smashwords. However, what it does in addition is that it also follows for limited time offers. You can find classic novels as well as modern books. Bookboon features a great selection of mid-length business books and student literature for IT, engineering and business students in .pdf format. The downloading process is simple and very user-friendly. Upon your first download, however, you will be required to add your email address. BookBoon also offers a Premium plan, where you can get full access to the online library. If you are interested in computer science, then FreeTechBooks is a place you would like to check out for free resources. The service offers e-books, academic literature and lecture notes in engineering, programing and computer science. No registration is required and you can get everything in .pdf. 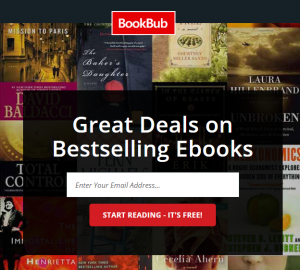 Although technically, you cannot download free books from there, BookBub helps you discover e-books are on sale or offered for free for a limited time. You just need to enter your email address, set your preferences and you’re done. Once you have registered, you will see a list of all the current ebook offers from various sources, among which free e-books as well. One of the perks of e-books is that you don’t need an e-reader in order to enjoy your book. You can also use your smartphone and your PC. With pCloud, you can bring a whole library without taking any space on your device. Easily read every e-book from your browser, your Android and iPhone without converting by downloading the app.